Natural Health Works offers a range of treatments to patients for headaches and migraine. There is evidence that many headaches have their origins in the neck and the pain felt in the head is referred from the original area of damage. Pain-killers are not the only solution for the aches and pains associated with headaches and migraine. For more permanent relief it is necessary to eliminate the underlying causes of pain, a job for which the osteopath is specifically trained. 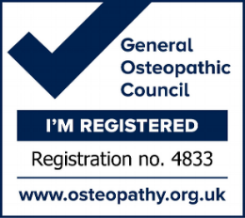 Osteopaths diagnose the cause of pain and can often do a great deal to help reduce the level of your pain and suffering.